“ fantastic job done by you guys last week in pulling together everything we needed for the event and within very short timescales i.e. 10 days max! The set looked fantastic, the team were incredibly professional and flexible and everything ran to plan on the day so a massive thank you from me! darren@kingsbridgeav.co.uk 07766 754944 Please contact us now...it might be the best thing you do today ! 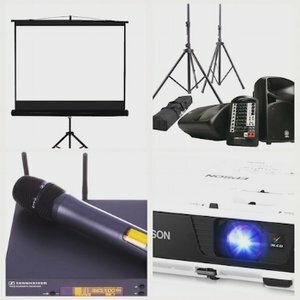 Sound Light & Vision for any live event. The best people, the latest equipment. Video Streaming of events & webinars are gaining pace for 2019, we can help you deliver this using your own platforms of your choice helping to save you thousands of pounds on back end servers ! Please contact us to find out how we can help you ! JF Sulivan Marketing VP "These guys are the best AV company on the planet"
Please contact us today so we can help you! Please see the two videos below. The first is "real video", the other is video messages made from animation and graphics to help tell the story. Both a very powerful way of communicating messages. KAV Productions are pure professionals providing advise and guidance throughout the production and post production in order to ensure the best results. The end results are high quality and Darren invests greatly in ensuring the end product exceeds your expectations. Highly Recommend. We were recently asked to produce a video to help get fast support for water catchment to be improved. Clarence House just signed it off. Its had the Royal Seal of Approval. WE CAN DELIVER & SETUP & OUR TECHNICIANS CAN HELP RUN THE EVENT FOR YOU! We are all you need, a trusted partner of many blue chip companies. Please use the hamburger to the left to navigate the site!